1. Am I going to get a job working for a developer? 2. Am I going to develop real estate for my own personal gain? If you answer ‘Yes’ to the first question, then you will need a professional qualification real estate development from a recognised institution as this is the minimum requirement to gain an interview with major developers these days. 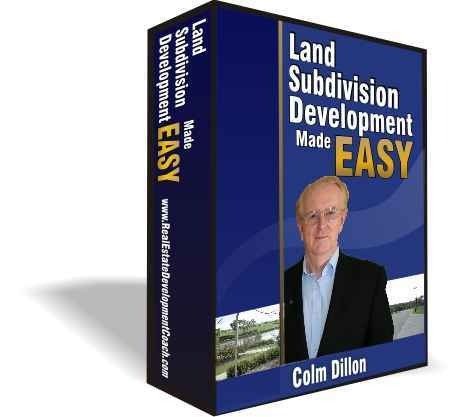 Senior management of corporate developers gained their qualifications many years ago and so they need to employ staffs who are up to date with information from the latest real estate development course. In addition there is the tendency of corporate developers to require development trained staff to specialize within the many strands of development work such as feasibility studies and cash flow or land acquisition. Now if you go down the professional qualification route, through a real estate development course, it will be a long time before you get your hands dirty on a development of your own within the corporate structure. However, if your career training is correctly planned (rarely done) you will be allowed to gain experience in many different sections of development specialization. Taking this route in the development business can take you into the large corporate structure as well as small more dynamic organizations. If you start in the smaller company there will tend to be a “sink or swim” attitude by management as they tend to be very busy trying to get into as many development as their capital allows, so the challenges can be significant for someone who has just achieved their qualifications. So you will have a greater degree of freedom, but a 'mess up' can lead to a swift exit. So you see the formal education route through a real estate development course, is essentially an academic one and you are usually taught by academics of various specializations. The problem is tying it all together so that you can actually a development once you leave the university. That is why when you join a company, they know you know your stuff, but it is the application of this knowledge in the real world that is missing. OK, let now assume your choice was number two and you intend developing real estate for your own personal profit and it does not matter if you incorporate your activities into an LLC or not; you are taking actions for your own wealth creation. 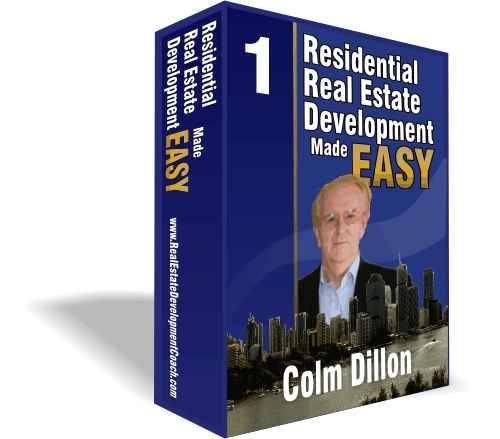 By taking this role on you are not really interested in real estate development theory you want the nuts and bolts of what to do and let’s get started; right? In my experience the vast majority of private developers come from the ‘School of Hard Knocks’ learning what to do by trial & error. This is a very expensive school and many private developers have told me after doing my development course that they now realize how much money they have left on the table over the past 10 to 30 years by just not knowing how the procedure actually goes. Now don’t get me wrong, many of these guys and girls have made great money and a great lifestyle for themselves, but unfortunately many more have failed financially and never recovered to complete their dream. Now when you think that development work is the driving force for construction work throughout the world, which is the world’s largest industry, you can understand why I was staggered to find that there was no real estate development course provided by the industry itself. So after developing over $1.2 Billion worth of projects and retiring, I decided to write the first real estate development course from a developer’s point of view. That is putting down the entire development work flow including all the pre-development work and research that need to be done to reduce your risk. The biggest question a new developer must ask him/herself every day without this knowledge is this ... “what do I do next?” It’s a bit like stumbling around in the dark looking for a needle in a haystack and speaking to people who are not in the business, but still like to express an opinion with the idea of helping. That scenario is very real as I have learned over the past six years teaching new and existing developers, who at the end of the course tell me that it is like have a veil lifted from in front of their eyes. That comment comes from students who take on my Residential Development, Commercial Development or Land Subdivision Development and their work then takes on a more organized lifestyle. 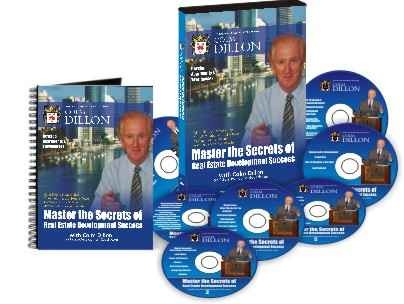 The DVD's and the book of Workshop Slides will have to be posted to you, so ensure I have your exact delivery address. I will not post to a post office box.